Harvard rightly argues that it cannot hand over those documents without first redacting the private, identifiable information of its students and applicants; after all, Harvard’s administration has a legal and moral duty to protect any confidential information transmitted to the school by its applicants. Furthermore, the Trump administration does not have a good track record of handling such information responsibly: lest we forget, the last time they were given confidential documents, they ended up doxxing a whole bunch of private citizens. Hell, the president casually revealed classified information to Russian leaders. Harvard has reason to be wary of offering the federal government a treasure trove of its applicants’ personal information. The latest back-and-forth between the Justice Department and Harvard – which was first reported by the Wall Street Journal – is further evidence that the Trump administration is moving at full speed to dismantle affirmative action in this country before Donald Trump leaves office; and, they seem willing to accomplish this petty goal by any means necessary. Under the Obama administration, the Department of Education had declined to investigate Harvard’s admissions policies citing not only pending cases before the US Supreme Court but also the lack of any compelling reasoning behind complaints of discrimination against the school. However, the Trump administration – with its spiteful mission to overturn every aspect of Obama’s legacy – signaled earlier this year an interest to target Harvard with a Department of Justice investigation. Over the summer, the Justice Department indicated that it was opening an investigation against Harvard with a job posting seeking personnel to join efforts to look into “reverse discrimination” at America’s colleges and universities. (“Reverse discrimination” is a dogwhistle for anti-affirmative action activists, as well as for white nationalists of the alt-right.) It is increasingly clear that the Far Right, empowered under Trump, sees the dismantling of higher education access for underrepresented students as a crucial component of their multi-pronged effort to roll back civil rights for people of color. In recent months, we’ve seen the erosion of voting rights and a mounting war against immigrants. The president has criticized Black Lives Matter while defending white nationalists as “good people”. Are we really surprised that this same administration cannot tolerate policies that promote campus diversity by ensuring higher education access for people of color? If we should be surprised by anything, it should be that some narrow-minded conservatives within the Asian American community continue to eagerly embrace the role of wedge minority against Black and Brown communities; and in so doing, they have enabled the conservative campaign to end affirmative action policies that — historically and currently – benefit all communities of color, including Asian Americans. Lest we forget: the vast majority of Asian Americans support affirmative action. Last year, more than 150 national Asian American & Pacific Islander organizations signed a joint letter of support defending race-conscious affirmative action in the nation’s colleges and universities. Affirmative action historically enabled higher education access for Asian Americans; it continues to create access for underrepresented Asian Americans, Pacific Islanders, and other groups. In California in the absence of affirmative action, Asian American enrollment at California’s universities has remained stagnant or decreased. Harvard’s admission policies had previously been the subject of a Department of Education review in the late-1980’s, with no evidence of discrimination against Asian American applicants uncovered. 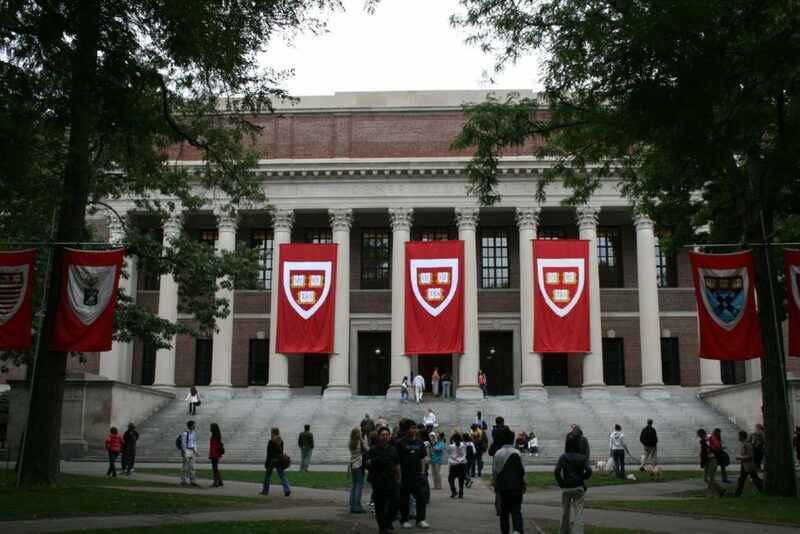 This year, Asian Americans made up 22.2% of the incoming freshman class at Harvard. 21.8% of Harvard’s applicants were Asian American this year. Thus, the admission rate for Asian Americans was the same (or slightly higher) than for all applicants; there is simply no evidence that Asian Americans were admitted at lower rates than other applicants. What, then, is this Department of Justice investigation if not a partisan, alt-right effort to weaponize Asian Americans against policies that make higher education accessible for all people of colour?